Create your own Advent Calendars this Christmas using our existing tools. With 25 windows to open throughout the month you can display a selection of images, logos or anything else you want to promote. 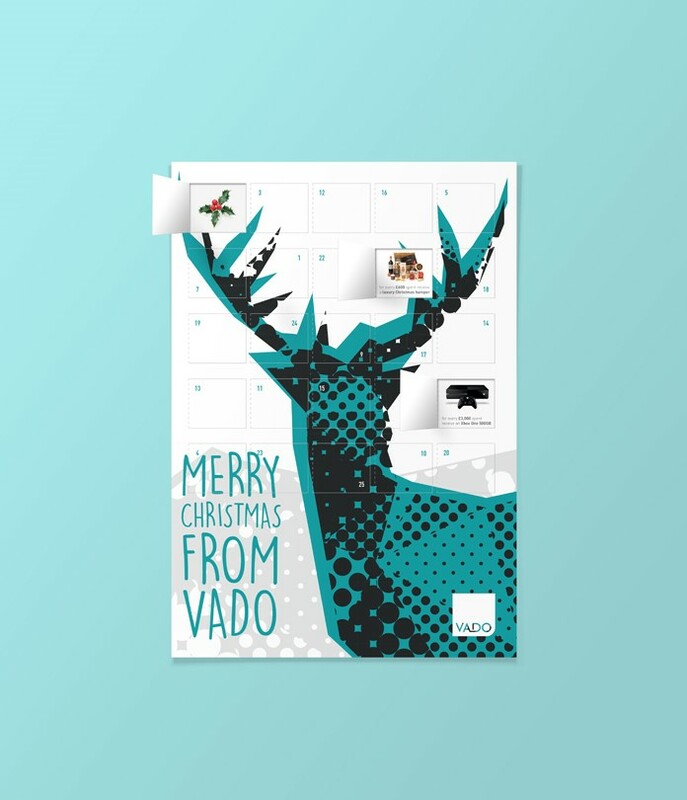 The outside of the calendar can be printed to both the front and back, so you can create a complete festive design this winter. A4 advent calendars. A3 sheet printed full colour (CMYK) to both sides, 350gsm silk, die cut windows using existing die, folded and glued to A4 finished size. Subject to VAT and delivery where applicable. Please note 500 & 1k quantities take longer to turnaround, usually around 7 working days.